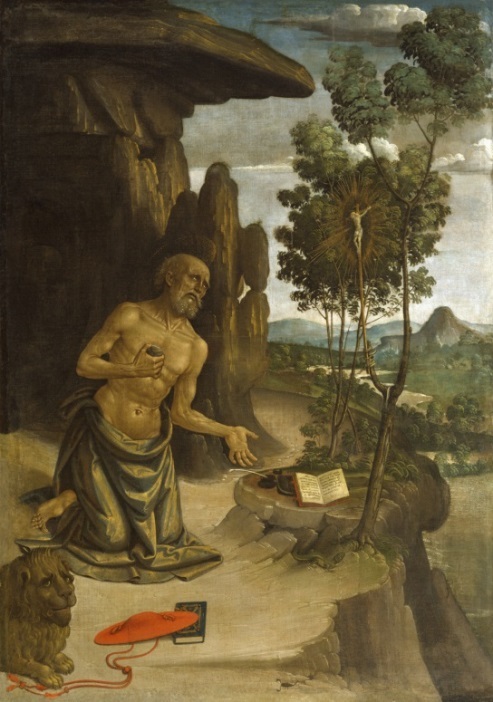 Today, September 30th, is the feast of St. Jerome (ca. 331—ca. 420), who, along with Sts. Ambrose, Augustine, and Gregory the Great, is one of the four Latin Doctors of the Church, and these days, in my opinion, is the least appreciated of the four. We know very little about Jerome’s early life as no one penned a Vita in his honor, nor did he write a Confessions-style autobiography. He was born in Stridon, but the exact location of this town is unknown. His family’s considerable wealth allowed him to receive the best education in Rome. During his studies, Jerome reports spending his Sundays visiting the martyrs in the catacombs, which profoundly shaped his Catholic imagination. He bounced around the Roman world for a number of years after his schooling. During a stay in Antioch, he had a fever-induced vision of the Judge at his judgment. Jerome told the Judge that he was a Christian. “You lie!” The Judge snapped in reply: “you are a follower of Cicero, and not of Christ. Where your treasure is, so also will your heart be.” Jerome had preferred refined pagan authors to the vulgar literary prose of the Bible, describing it as “rude and repellent.” Despite Jerome’s passion for literature, he did not read any of the great Roman authors for 15 years after his vision because he was so shaken by the experience. Jerome eventually returned to the Eternal City where his reputation began to grow as a translator and exegete. He found himself in the favor of Christian elites and had impressed Pope Damasus with his experiences in the east and his knowledge of Hebrew, which few Christians knew at the time. He also became a spiritual advisor to a number of rich, aristocratic women whom he encouraged to embrace the ascetic life by arguing that the good of marriage is limited to the future consecrated virgins who might come from the marital union. 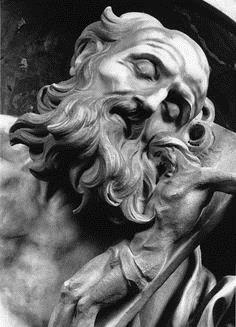 For the last several decades of his life, Jerome lived in Bethlehem where he established a monastery and installed himself as its head. This was a time of prolific literary output and he engaged in many of the great controversies of his day, such as Mary’s perpetual virginity, the role of marriage in the Christian life, and the anthropological fights of the Pelagian controversy, among others. Just a few years before his death, his monastery was burned to the ground by an unknown group of individuals. Jerome is best known for his translation of most of the Bible into Latin from the original Hebrew and Greek. Prior to Jerome’s Vulgate, Old Testament translations into Latin came from the Greek Septuagint translation. Jerome was criticized in his day for his turn to the original Hebrew, including Augustine who wrote to him with less than enthusiasm for the project, saying “I think that they [the translators of the Septuagint] should be given a preeminent authority in this task without controversy.” Despite Augustine’s protests, the Vulgate became standard in the Church in the medieval period, and was declared “authentic,” “approved,” and that “no one dare or presume under any pretext whatsoever to reject it” by the Council of Trent in 1546. It is these types of comments that have led scholars to declare Jerome an “irascible, morbidly sensitive old curmudgeon,” that he “resented adverse criticisms,”  that he was “sensitive and easily offended,”  that he had a “prickly character,” and that he was “unbalanced.” Although these criticisms may not be far from the mark, it is precisely this side of Jerome—the deeply flawed side—that has drawn me to him. Jerome was not the stoic Athanasius who courageously shouldered his burdens when he was exiled from Alexandria five times by the Arians. When Jerome experienced his own sort of exile after the death of his patron Damasus, he venomously hissed at the “Senate of Pharisees” for having driven him from his beloved Rome. He was not the continent Augustine who never hinted at struggles with concupiscence after his famous moment in the garden that brought him the chastity for which he had been praying. In his mid-seventies, Jerome tells us that it was only when his body was broken by age that he was freed from his disordered desires. 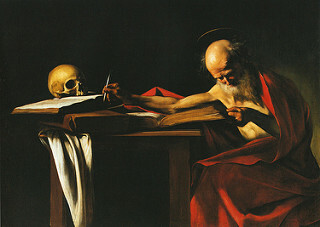 St. Jerome, pray for us. Most of the biographical information for this piece comes from J.N.D. 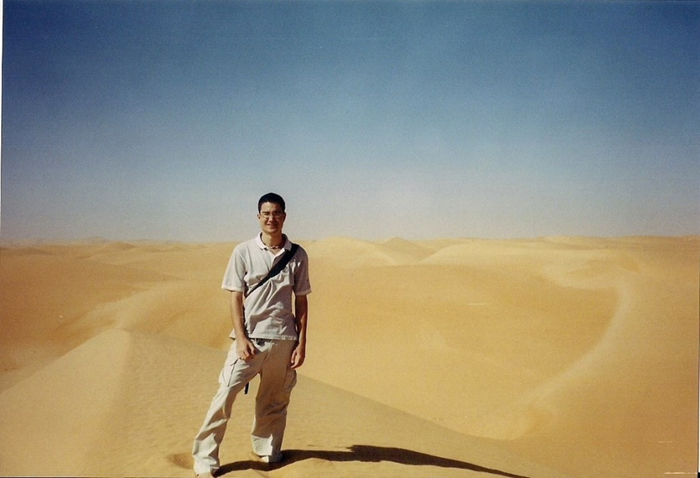 Kelly’s fantastic work Jerome: His Life, Writings, and Controversies. Without a doubt, this is my favorite biography of any of the Fathers. Jerome, Comm. on Ezekiel. 40, 5-13. See also Kelly, p. 22. Josef Lössl, “Who Attacked the Monasteries of Jerome and Paula in 416 A.D.?,” 111. Council of Trent, “Decree Concerning the Canonical Scriptures.” The Canons and Decrees of the Council of Trent, 18. Jerome, De Viris Illustriubs, 124. James, O’Donnell. Augustine: A New Biography, 299. Jerome named him “Grunnius.” Prologue to Jerome’s Commentary on Jeremiah, I.
 Stephen Canon, “The Jerome-Augustine Correspondence,” 39. Virginia Hellenga, “The Exchange of Letters between Saint Augustine and Saint Jerome,” 177. Gerald Bonner, St. Augustine of Hippo: Life and Controversies, 147. Robert O’Connell, “When Saintly Fathers Feuded: The Correspondence between Augustine and Jerome,” 346-7. John Antony McGuckin, Gregory of Nazianzus: an Intellectual Biography, xxvii. Jerome, Translation of Didymus on the Holy Spirit, pref. Jerome, Commentary on Amos II, prol. See Kelly, 295. Athanasius. Life of Antony, 14. James Martin, My Life with the Saints, 7. This is an excellent essay. It has almost persuaded me to forgive St. Jerome. Reblogged this on Jesús Clara.